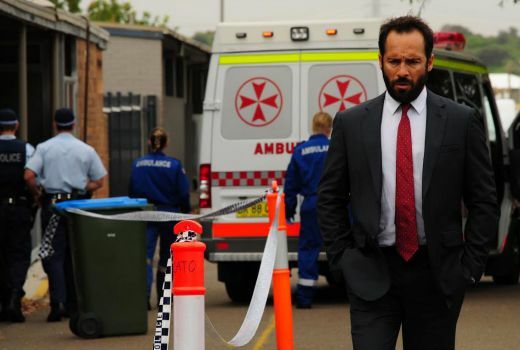 Upcoming SBS drama The Principal, featuring Alex Dimitriades and Aden Young, will have its premiere in early October. The four part series, the network’s first local drama will screen across two weeks at 8:30pm Wednesday October 7 and continuing on Thursday 8th, Wednesday 14th and Thursday 15th. Also featuring is Mirrah Foulkes (Animal Kingdom, Hawaii Five-0). The first two episodes will have their Australian premiere at the Melbourne International Film Festival tonight. Set in a boy’s high school, this four part drama series features AACTA award-winning Alex Dimitriades (The Slap, Underbelly) who plays the role of Matt Bashir, a former history teacher and Deputy Principal at a prestigious girls’ school, who is promoted to Principal of Boxdale Boys High. Boxdale Boys High is a notoriously violent and difficult school and Principal Bashir is brought in because of his different and radical approach to reform. The sudden change brings him into conflict on all fronts and even leaves his personal life exposed. Still, Bashir works overtime to get the local community on side, promising change, but just when it seems he is making progress, a student is found dead on school grounds. The Principal was created by award-winning producer Ian Collie (Saving Mr Banks, Rake, Jack Irish), along with Rachel Turk and Kristen Dunphy, and directed by multi award-winning Kriv Stenders (Red Dog, Boxing Day). The new crime drama showcases a range of high calibre Australian talent including AFI nominated Aden Young (Rectify, East West 101) and AACTA award-winning Mirrah Foulkes (Animal Kingdom, Hawaii Five-0). The locally produced drama, which has been nominated for an Australian Writers Guild Award, boasts writers Alice Addison (The Hunter, The Devil’s Playground) and Kristen Dunphy (East West 101) and introduces fresh new Australian talent including Rahel Romahn (Underbelly, The Combination), Aliki Matangi (Jonah from Tonga) Tyler De Nawi and Thuso Lekwape. Wednesday, 7 October at 8.30pm on SBS. Interesting it’s been aired over 4 nights over two weeks rather than one slot over 4 weeks. There are no boys only State schools in WA-how common is that antiquated set up in the Eastern states? Alex is always excellent in anything he’s in. Nice to see sbs giving viewers plenty of notice for premier dates. I’ll keep an eye out for the promos to see if its of interest. Promo is in the Video section. Just click on the Tag.